Look how Happy Jeff is!! You didn’t know I was running a contest? 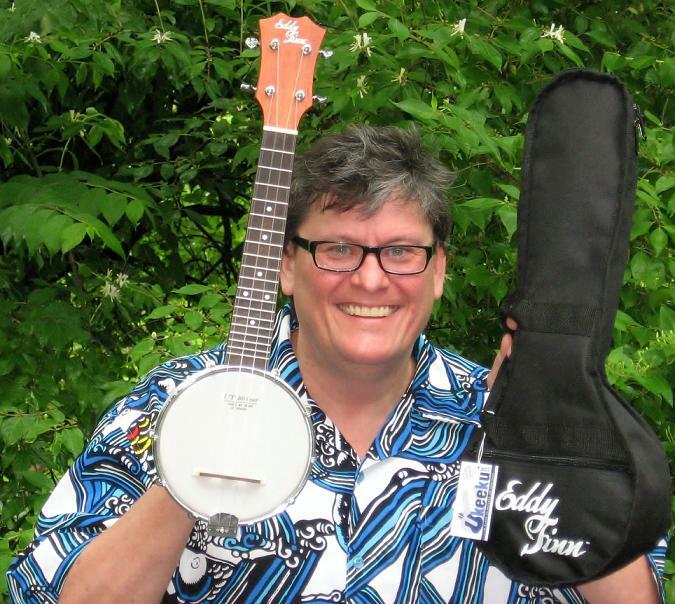 Thank you Eddy Finn for letting me give this uke away during Banjo Uke week, Jeff was very excited! Nah, I was not that excited at all , trust me, it’s not that big of a deal… WWWOOOOHOOOO! *Happy Dance* Fantastic! I would like to thank Eddy Finn ukuleles, and of course Tim for being a slightly bigger ukulele fan than me. Ukeeku.com. Will inform, and even SURPRISE you! Hope to see you all at UWC 2011! … I am lonerhino on UU, Friend me! Thanks again Tim!